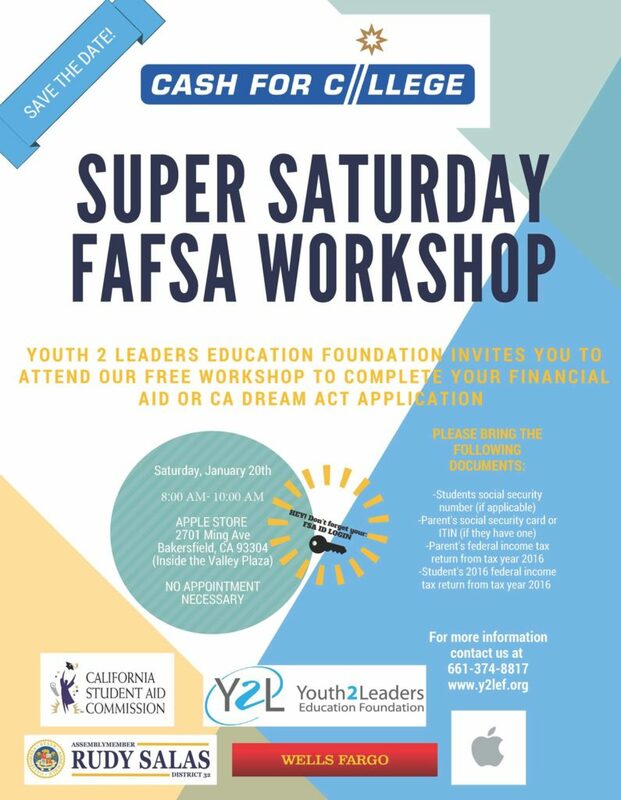 Youth 2 Leaders Education Foundation invites the community to attend a free workshop to complete your FAFSA (Free Application for Federal Student Aid) aid or CA Dream Act application. The free workshop will be held on Saturday, January 20 from 8 to 10 a.m. inside the Valley Plaza at the Apple Store, 2701 Ming Ave., Bakersfield, Ca. For more information call (661) 374-8817 or visit www.y2lef.org.